Whether at the gym or on the field, the Locker T’s super-soft polyester fabric delivers a natural feel against your skin making it comfortable to get through your workout. 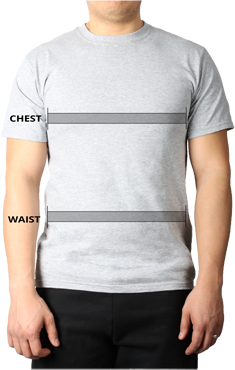 This custom t-shirt features an athletic fit with stretch fabric to enhance mobility, moisture wicking system to keep you cool and dry and antimicrobial technology to prevent odors. 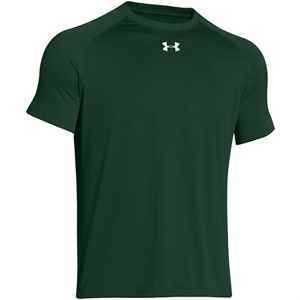 Fit for any workout, the Under Armour® Locker T Men’s Short-Sleeve Crew Neck T-Shirt’s 100% polyester fabric delivers a super soft and comfortable custom printed t-shirt that feels natural against your skin. Stretch fabric enhances mobility, ensuring athletes can move comfortably through the toughest workout. Super-soft polyester material with UA Tech™ Locker T fabrication features a moisture transport system to wick moisture away from the skin keeping athletes cool and dry. Antimicrobial technology keeps your custom t-shirt fresh. A classic ribbed crew neck and cuffs and set-in sleeves for a more natural look round out the features of this custom printed t-shirt.